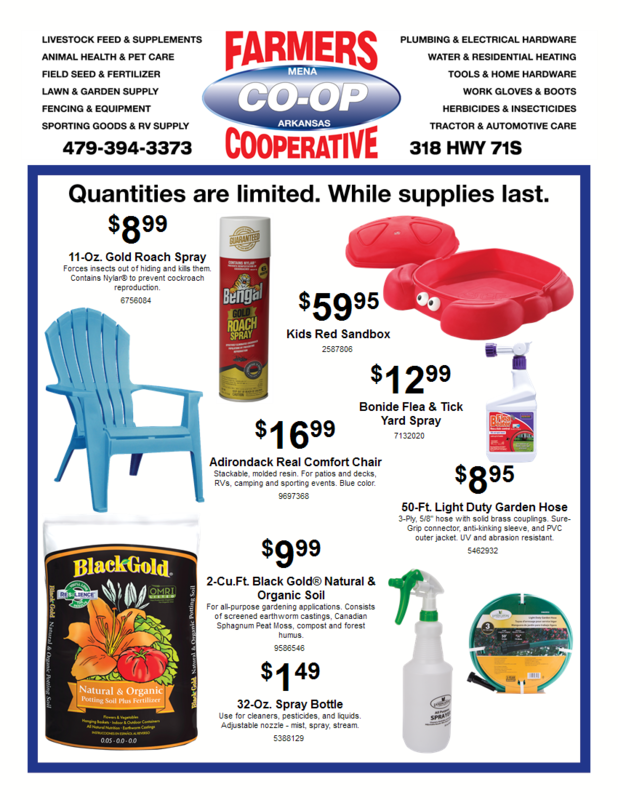 Stop by the Mena Farmer’s Co-op to take advantage of the April Door Buster Specials! 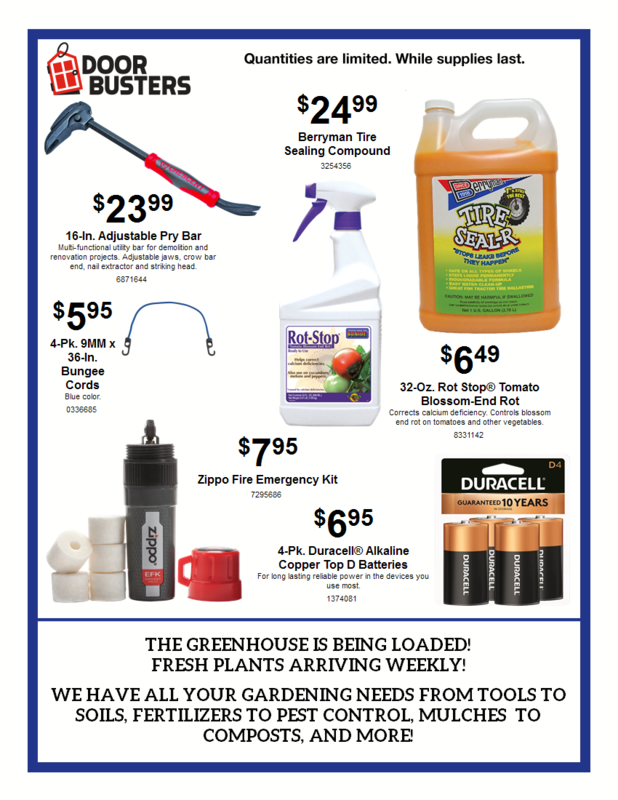 These specials are available only at the Mena, Arkansas location, while supplies last, quantities are limited. 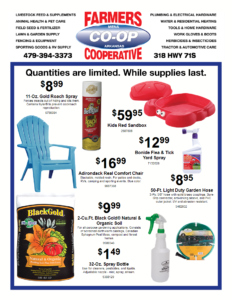 Published prices are good at the Farmers Coop Mena Location only. 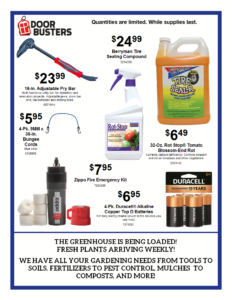 April Door Buster Specials are valid April 1 through April 30, 2019. This entry was posted on Tuesday, March 26th, 2019 at 4:32 pm	and is filed under Events, News & Updates. You can follow any responses to this entry through the RSS 2.0 feed. Both comments and pings are currently closed.